Every time you set foot in the gym, you have an opportunity to step closer to your fitness goals. Nearly everyone who hits the training floor thinks they&apos;re on the road to progress, but many trainees just spin their wheels at the gym, and an unfortunate few actually move backward because of overtraining, poor form that results in injury, or diet and nutrition habits that are counterproductive to making big-time gains. Alas, intent doesn&apos;t necessarily translate into results. "Leaving nothing to chance" means performing at your best day-in and day-out. And I&apos;m not just talking about your performance during a workout. Motivation and preparation are paramount to winning daily battles, not just against the weights, but against temptation, cravings, and negative influences. Take a look at how five Cellucor-sponsored athletes prepare for their training. These actions and attributes are essential to exceptional results. Have you ever heard the phrase, "where the mind goes, the body will follow?" It definitely applies when it comes to bodybuilding, sports, or any genre of physical fitness. If you prepare for anything with a negative attitude, then your results will surely be suboptimal. Elite athletes have no room for such negative thinking. Calum von Moger, a 23-year-old bodybuilding superstar in the making from Australia, already knows the importance of solid mental prep well before he sets foot in the gym. "Before my workouts even start, I&apos;m already thinking of my training, mentally preparing for the onslaught to come," he says. So how can you focus on positive thoughts over negative ones? If you dread going to the gym, you&apos;ve already lost the battle. Successful athletes and bodybuilders engage in rigorous training because they know that positive results accrue slowly over time, building workout by workout. Results don&apos;t come overnight, so adopting a long-term approach is the only way you&apos;re going to ultimately succeed. California fitness pro and trainer Jen Jewell loves to challenge herself at the gym. "Who else loves hitting the gym? I know I do! I&apos;m one of the fortunate ones who truly look forward to working out each and every time," she says. "My motivation to lift, bust out some cardio and challenge myself never wanes." "Research even supports that you&apos;ll go both longer and harder when listening to music." Achieving your goals doesn&apos;t happen through osmosis: You need to push yourself. If you&apos;ve set a significant goal—like to compete in a contest or look great for a big event—you&apos;re more likely to succeed. As you drive to the gym, visualize what you&apos;re going to look like and let that image burn in. Keep your goals fresh in your mind and imagine how it will feel when you achieve success. That reinforcement is a constant reminder why you&apos;re here. Take a few minutes before leaving for the gym and browse videos online. Check the training videos on Bodybuilding.com, to help get you amped. Get inspired by photos of your favorite fitness personalities breaking a sweat. 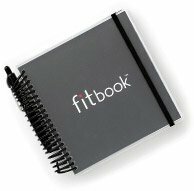 You can even flip through BodySpace and review some blogs and check out progress pics. Such visuals can give your motivation a big boost. Many of you already know the difference fast-pumping music can make to your training and cardio efforts. Download some new tunes and put together a playlist of your favorite music ahead of time. Research even supports that you&apos;ll go both longer and harder when listening to music. Texas strongman Colton Leonard is plugged into his favorite music long before he touches a weight. "I put my ear buds in and start listening to my favorite workout music at home as I&apos;m preparing my pre-workout," he says. "For one, it gets my mind ready for the mayhem that&apos;s about to follow!" While it&apos;s said that showing up is half the battle, if you don&apos;t have a strategy in the gym, you&apos;ll be far less productive. Winging it takes up valuable energy and time; more likely than not, this will lead to frustration. "I also make sure to have a journal to be able to track progress." Jen Jewell knows the importance of having a plan of attack: "Prior to hitting the gym, I craft a game plan outlining which muscle group I&apos;ll be tackling that day and which exercises I&apos;ll include. The days I&apos;ve wandered into the gym not knowing which muscle group I was going to work, or without having an outline of exercises in mind, were often the days in which my workouts lagged in intensity, creativity, and efficiency." Mental pre-planning also helps New York City&apos;s physique pro Craig Capurso, who is known for his intensity in the gym. "The one and only mental trick I use is having my workouts thought out in advance. This helps me stay focused and in the zone. I also make sure to have a journal to be able to track progress." Having a plan is critical, but that shouldn&apos;t preclude occasionally changing the plan or bringing on new challenges that address your weaknesses. Incorporating variety can also make your workouts more fun and stimulating. "For those days when I may be feeling a bit bored, stressed or need a change of pace, I&apos;ll add in new exercises," Jen Jewell says. "Even something as simple as switching from dumbbells to kettlebells can be a nice change of pace. I love to challenge myself to set a new record [for strength or endurance]. If I feel like skipping the gym in lieu of a workout outdoors, I&apos;ll even do that. As long as I&apos;m having fun with my fitness and being efficient, I&apos;m good." Fitness competitor Karina Baymiller, who was runner-up in the 2013 Bodybuilding.com BodySpace Spokesmodel Contest, is another elite athlete who understands the importance of change. "Not long ago I changed my training to what I wanted to do—to what makes me happy—and stopped doing what I felt like I had to be doing to look a certain way. I believe that this mental shift in my training has had the biggest positive effect on my daily gym habit." The power of your mind can make a big difference in your performance, but so does the fuel you put in your tank. Low on fuel means you&apos;re low on energy, so even if you have the heart of a champion, you&apos;ll short-change your results. Team Cellucor strongman Leonard says that what you eat will directly impact the results you see in the gym. "I find about 30 grams of slow-digesting carbs and 50 grams of protein from a lean meat source makes the best meal consumed prior to my workout, and I eat it about two hours out. This gives my body the time to get the nutrients it needs without making me feel heavy or slow while training." Calum von Moger eats a pre-workout meal a bit closer to gym time—about 60 minutes out. "Of course what you eat impacts your energy levels, so carbs are especially important. I&apos;ll have rice and chicken, or a whey protein shake and banana." Today&apos;s athletes have access to powerful pre-workout supplements that include a variety of ingredients that support more intense and longer workouts, greater focus, and improved energy. Such products include stimulants—like caffeine—that have been proven to increase performance as well as other muscle-building ingredients. Pre-workouts are among the most widely consumed supplements among bodybuilders and fitness enthusiasts. "About 30 minutes before I train, I&apos;ll have a pre-workout like C4 Extreme," says von Moger, referencing Cellucor&apos;s caffeine- and creatine-boosted pre-workout supp. "I&apos;ll take it just before I get in the car because I live 25 km away (about 15 miles) from my gym, which leaves me a good amount of time for the ingredients to start taking effect." Rather than stick to one product, strongman Leonard uses a mixed approach. 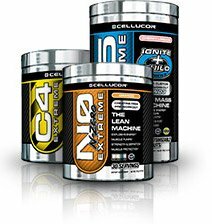 "When it comes to maximizing the pump, Cellucor&apos;s M5 Reloaded, C4 Extreme, and NO Extreme are my go-to supps for energy, strength, and endurance. I love this combination, and when timed accordingly after a good meal about two hours before my workout, it truly maximizes my performance and training." Whether you&apos;re a fitness competitor or just want to look ripped, cardio is critical. 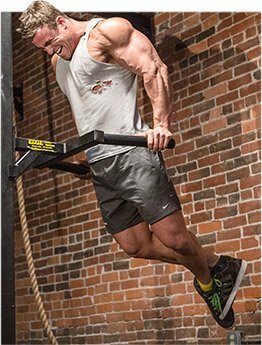 Check out these 5 diverse cardio workouts from the athletes of Cellucor! Going for a new personal record isn&apos;t easy. Max lifts require a lot of training and mental preparation. Here are 5 things you need to know before you attempt a 1RM or new PR.